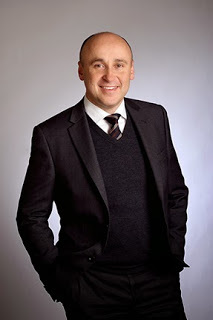 Glenn Duker is founder and principal of PCL Lawyers, a firm providing top-notch legal advice to clients in a variety of practice areas. Glenn, himself, has cultivated expertise in many different aspects of law since he entered the field in 1995. Glenn wanted to create a platform in which he could share his legal articles to help others better understand the legal process. Glenn has broad experience in advising business clients with commercial litigation information. His vast experience in business law has made him the professional of choice for countless individuals and companies who need to discuss the ins and outs of managing a business. Glenn Duker’s knowledge extends to commercial leasing (which determines the business’ premises) to business sale and purchase (which ensures a smooth transition to a new owner). Glenn Duker has distilled crucial lessons from his own history in entrepreneurship. Prior to PCL Lawyers, he founded organizations including his own private practice, Duker and Associates, Total Conveyancing (an adjunct to the legal practice) and Settle It Legal. He brings a personal touch to the insights shared on this blog while remaining within the strict legal framework that must remain in place for any up-and-coming business. These articles are for informational purposes only and are not intended to be legal advice. In relation to your individual situation, always seek advice specific to your circumstances from a lawyer. Over the years, Glenn has learned the importance of developing an eye for detail, being organised and having great systems to train lawyers quickly. His goal is to create a workplace where lawyers and other staff can thrive by being compensated well, enjoying challenging work but still having a healthy work-life balance. As both a principal and Special Counsel in business law, he helps his clients make this a reality in their own workplaces too. In addition to being a seasoned property/commercial lawyer, Glenn Duker is a real estate developer. He has previously undertaken development or renovation projects for prestige homes, apartments, individual homes, and small townhouse subdivisions. His firsthand experience in the real estate world has only strengthened his career as a property law expert. Keep up with this blog for Glenn Duker’s many insights into business law. For more, head over to his religious beliefs site or his litigation blog!